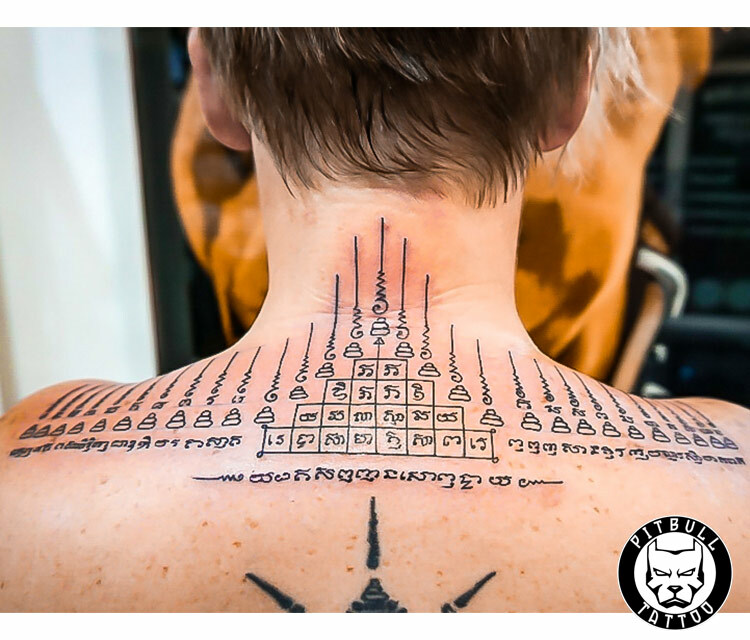 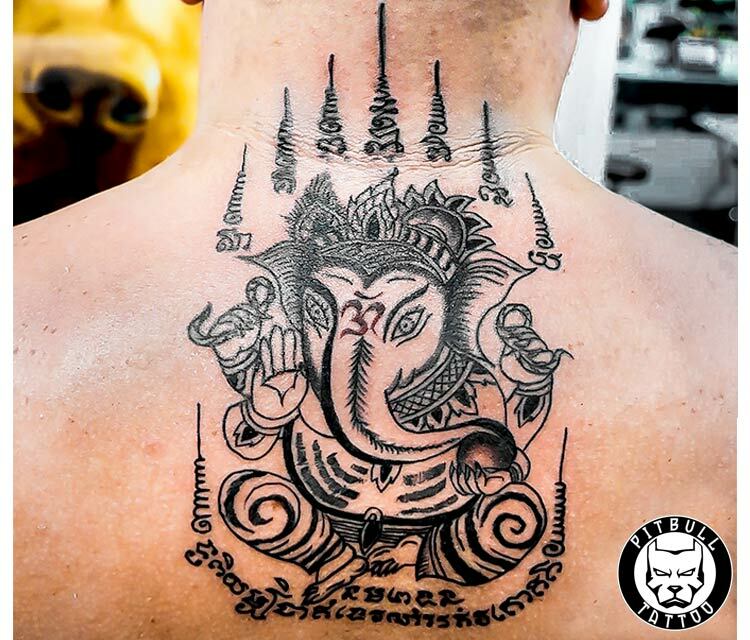 The term Sak Yant is a combination of Sak, the Thai word for tattoo, and Yantra, the Sanskrit word for a mystical diagram. 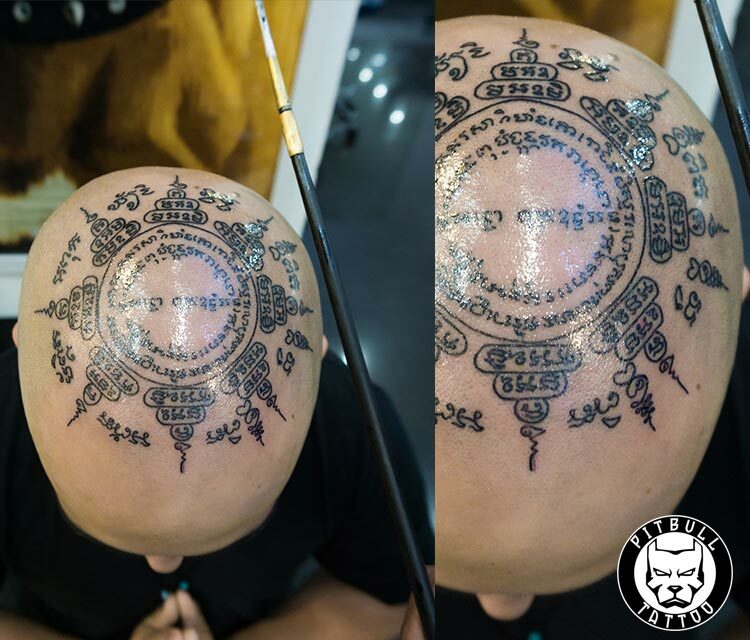 Sak Yant is an ancient magical and spiritual practice which employs Buddhist, Brahmin and animist imagery. 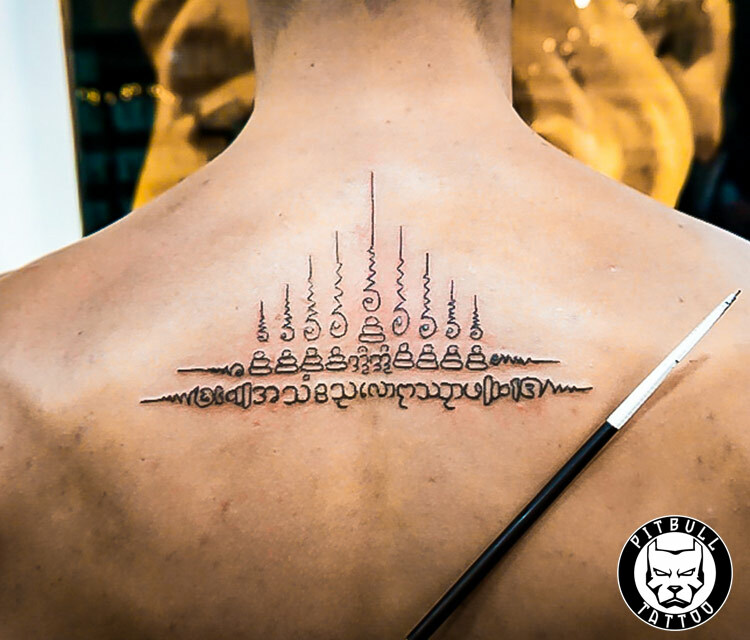 In particular, Wat Bang Phra in Nakhom Pathom province is well-known for the Yantra tattooing done by monks living at the temple. 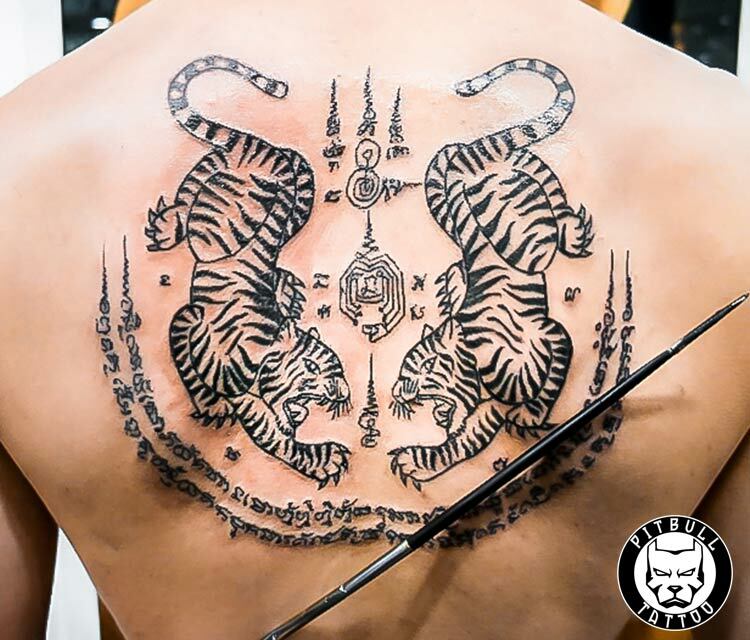 During March each year there is a tattoo festival at Wat Bang Phra where devotees come to perform a wai khru (paying homage to one’s teacher) ceremony to re-invigorate the magical power of their tattoos.Tattoos for loving-kindness are said to enhance the feeling of benevolence and kindness towards others and simultaneously instill in others the same feelings to oneself.